If you are mailing square wedding invitations you may be in for a surprise—the USPS imposes an additional surcharge for square envelopes. Letters that are square (height = width) are considered "odd-sized" or "nonmachineable" by the post office resulting in a higher price for postage. 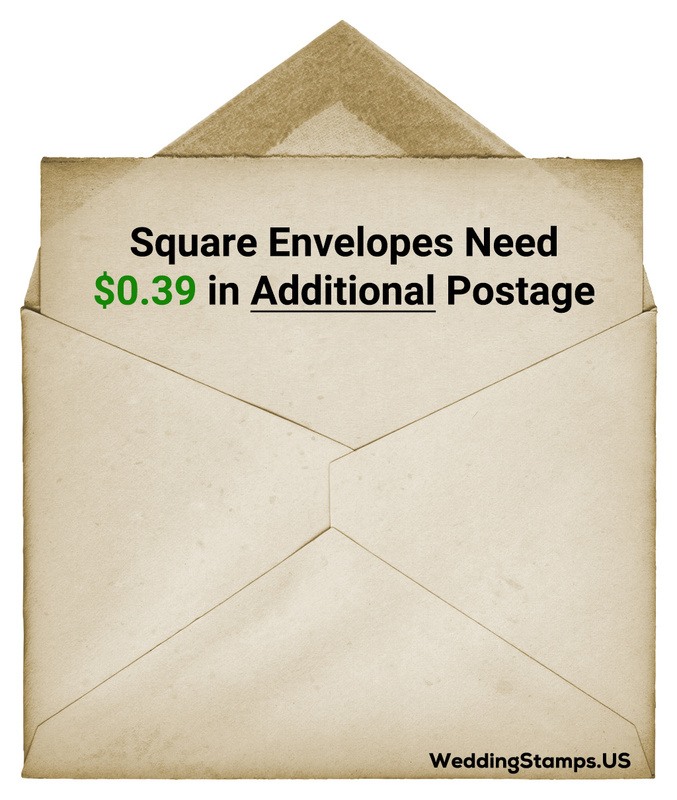 Square envelopes will cost you an extra $0.15 per letter in addition to the postage required for the weight and dimensions of your envelope. 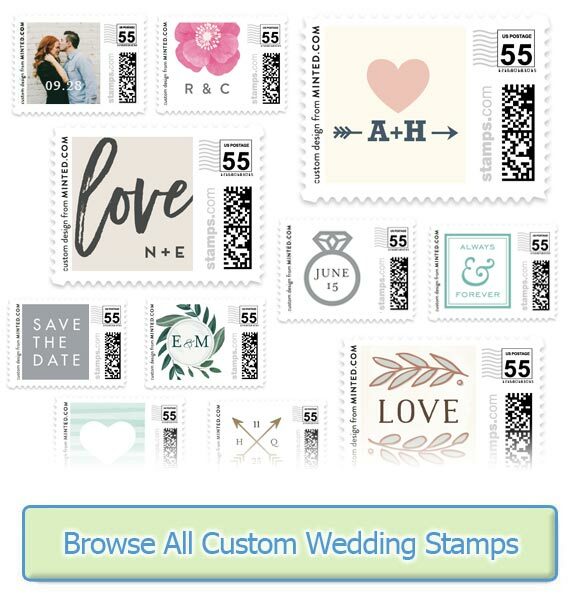 For 1 oz letters this means you'll need a $0.70 stamp (instead of a $0.55 stamp) and for wedding invitations that weigh 2oz you'll need a $0.85 stamp (instead of a $0.70 stamp). 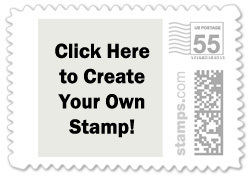 For help in determining the exact postage rate you need you can use our postage calculator. Typically the postal service will only charge one surcharge even if your mailpiece has two nonmachineable characteristics (such as a square envelope with a clasp). However, be sure to visit your local post office so they can help you determine the exact amount of postage you'll need to mail your letter. 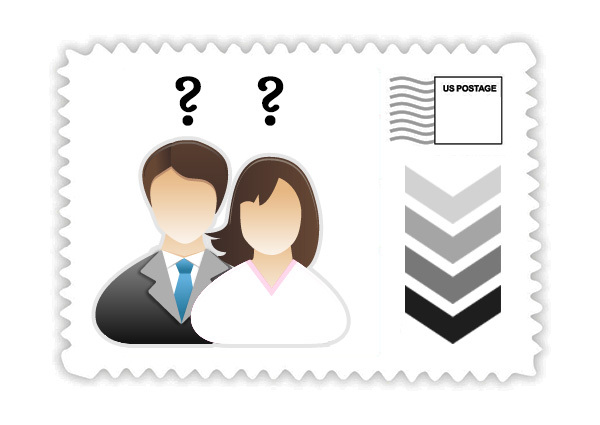 Custom stamps are available for many postage rates, so if you've already bought the perfect square wedding invitation be sure to pair it with a custom wedding stamp! There are over 2,000 designs so you're sure to find one that's a perfect match for your square invites. Simply choose the rate you need on the right-hand side of the design you like.